"Morel" redirects here. For other uses, see Morel (disambiguation). Morchella, the true morels, is a genus of edible sac fungi closely related to anatomically simpler cup fungi in the order Pezizales (division Ascomycota). These distinctive fungi have a honeycomb appearance, due to the network of ridges with pits composing their cap. Morels are prized by gourmet cooks, particularly in French cuisine. Due to difficulties in cultivation, commercial harvesting of wild morels has become a multi-million-dollar industry in the temperate Northern Hemisphere, in particular North America, Turkey, China, the Himalayas, India, and Pakistan, where these highly prized fungi are found in abundance. Typified by Morchella esculenta in 1794, the genus has been the source of considerable taxonomical controversy throughout the years, mostly with regards to the number of species involved, with some mycologists recognising as few as three species and others over thirty. Current molecular phylogenetics suggest there might be over seventy species of Morchella worldwide, most of them exhibiting high continental endemism and provincialism. The genus is currently the focus of extensive phylogenetic, biogeographical, taxonomical and nomenclatural studies, and several new species have been described from Australia, Canada, Cyprus, Israel, North America, Spain and Turkey. Morchella Dill. ex Pers. : Fr. was typified by Christiaan Hendrik Persoon in 1794, with Morchella esculenta designated as the type species for the genus. Among early pioneers who took an interest in the genus, were mycologists Julius Vincenz von Krombholz and Émile Boudier, who, in 1834 and 1897 respectively, published several species and varieties, accompanied by meticulously illustrated iconographic plates. The seminal taxon Morchella elata, whose true identity still remains unresolved, was described by Elias Fries in 1822, from a fir forest in Sweden. Other classical, early-proposed names include Morchella deliciosa, also described by Fries in 1822, Morchella semilibera, the half-free morel, originally described by de Candolle and sanctioned by Fries in 1822, Morchella vulgaris, which was recombined by Samuel Gray as a distinct species in 1821 following a forma of M. esculenta previously proposed by Persoon, and Morchella angusticeps, a large-spored species described by American mycologist Charles Peck in 1887. Morchella purpurascens, the purple morel, was first described by Boudier as a variety of M. elata in 1897 based on a 1834 plate by Krombholz, and was recombined as a distinct species in 1985 by Emile Jacquetant. Morchella eximia, a globally-occurring fire-associated species was also described by Boudier in 1910. The old, widely applied name Morchella conica, featuring in many field guides and literature across several countries, has been shown by Richard and colleagues to be illegitimate. Early phylogenetic analyses supported the hypothesis that the genus comprises only a few species with considerable phenotypic variation. Subsequent multigenic DNA studies, however, have revealed more than a dozen genealogically distinct species in North America and at least as many in Europe. DNA studies revealed three discrete clades, or genetic groups, consisting of the "white morels" (Morchella rufobrunnea and Morchella anatolica), the "yellow morels" (Morchella esculenta and others), and the "black morels" (Morchella elata and others). The fire-associated species Morchella tomentosa, commonly known as the "gray morel", is distinct for its fine hairs on the cap ridges and unique sclerotia-like underground structures, and may also deserve its own clade based on DNA evidence. Within the yellow and black clades, there are dozens of distinct species, most endemic to individual continents or regions. This species-rich view is supported by studies in Western Europe, Turkey, Cyprus, Israel, China, Patagonia and the Himalayas. The fruit bodies of Morchella species are highly polymorphic, varying in shape, color and size, while in many cases they do not exhibit clear-cut distinguishing features microscopically; this has historically contributed to uncertainties in taxonomy. Discriminating between the various taxa described, is further hindered by uncertainty over which of these are truly biologically distinct. Remarkably, some authors in the past had suggested that the genus contains as few as 3 to 6 species, while others recognised as many as 34. Efforts to clarify the situation and re-evaluate old classical names (such as Morchella elata and others) in accordance to current phylogenetic data, have been challenging, due to vague or ambiguous original descriptions and loss of holotype material. In 2012, the simultaneous description of several new taxa from Europe by Clowez and North America by Kuo and colleagues resulted in several synonymities further complicating matters, until a transatlantic study by Richard and colleagues resolved many of these issues in 2014. The genus is currently undergoing extensive re-evaluation with regards to the taxonomic status of several species. About 80 species of Morchella were described until the turn of the century (http://www.indexfungorum.org/), a number of which were later shown to be illegitimate or synonyms. As molecular tools became widely available in the new millennium, a revived interest in the genus commenced and several new species were proposed. 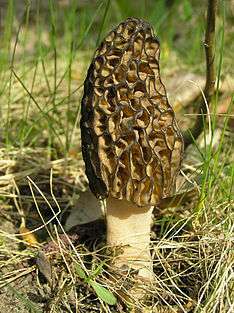 In 2008 Kuo described Morchella tomentosa from burned coniferous forests in western North America. In 2010 Işiloğlu and colleagues described Morchella anatolica, a basal species from Turkey later shown to be sister to Morchella rufobrunnea. A study by Clowez described over 20 new species in 2012. In the same year, another study by Kuo and colleagues described 19 species from North America, while molecular phylogenetics currently suggest there are over 60 species of Morchella worldwide. An extensive taxonomical and nomenclatural revision of the genus provided by Richard and colleagues in 2014, applied names to 30 of the genealogical lineages recognized so far and clarified several synonymities. Also in 2014, Elliott and colleagues described Morchella australiana from sclerophyll forests in Australia, while Clowez and colleagues described Morchella fluvialis from riparian forests in Spain. In 2015, Loizides and colleagues clarified the taxonomy of Morchella tridentina, a cosmopolitan species described under many names, and recombined Morchella kakiicolor as a distinct species. Later in the same year, Clowez and colleagues described Morchella palazonii from Spain, while Voitk and colleagues described Morchella laurentiana from Canada and Morchella eohespera, a cosmopolitan species present in several continents. In an extensive phylogenetic and morphological study from Cyprus in 2016, Loizides and colleagues added two more Mediterranean species, Morchella arbutiphila and Morchella disparilis, and resurrected Morchella dunensis as an autonomous species. In the same year, Taşkın and colleagues described four of the previously unnamed phylospecies from Turkey: Morchella conifericola, Morchella feekensis, Morchella magnispora and Morchella mediteterraneensis. The ecology of Morchella species is not well-understood. Many species appear to form symbiotic or endophytic relationships with trees, while others appear to act as saprotrophs. Yellow morels (Morchella esculenta and related species) are more commonly found under deciduous trees rather than conifers, while black morels (Morchella elata and related species) are mostly found in coniferous forests, disturbed ground and recently burned areas. Morchella galilaea, and occasionally Morchella rufobrunnea, appear to fruit in the autumn or winter months rather than spring, which is the typical fruiting season for morels. Tree species associated with Morchela vary greatly depending on the individual species, continent, or region. Trees commonly associated with morels in Europe and across the Mediterranean include Abies (fir), Pinus (pine), Populus (poplar), Ulmus (elm), Quercus (oak), Arbutus (strawberry trees), Castanea (chestnut), Alnus (alder), Olea (olive trees), Malus (apple trees) and Fraxinus (ash). In western North America morels are often found in coniferous forests, including species of Pinus (pine), Abies (fir), Larix (larch), and Pseudotsuga (Douglas-fir), as well as in Populus (cottonwood) riparian forests. Deciduous trees commonly associated with morels in the northern hemisphere include Fraxinus (ash), Platanus (sycamore), Liriodendron (tulip tree), dead and dying elms, cottonwoods and old apple trees (remnants of orchards). Due to their springtime phenology (March–May), morels are hardly ever found in the vicinity of common poisonous mushrooms such as the death cap (Amanita phalloides), the sulphur tuft (Hypholoma fasciculare), or the fly agaric (Amanita muscaria). They can, however, occur alongside false morels (Gyromitra and Verpa species) and elfin saddles (Helvella species), which also appear in spring. Efforts to cultivate morels at a large scale have rarely been successful and the commercial morel industry relies on the harvest of wild mushrooms. Certain Morchella species (M. tomentosa, M. eximia and others) exhibit a pyrophilic behaviour and may grow abundantly in forests which have been recently burned by a fire. The mechanism for this behavior is not well-understood, but appears to be related to both the death of trees and the removal of organic material from the forest floor. Moderate-intensity fires are reported to produce higher abundances of morels than low- or high-intensity fires. Where fire suppression is practiced, morels often grow in small amounts in the same spot year after year. If these areas are overrun by wildfire they often produce a bumper crop of black morels the following spring. Commercial pickers and buyers in North America target recently burned areas for this reason. These spots may be closely guarded by mushroom pickers, as morels are widely regarded as a delicacy and often a cash crop. Although the majority of species within Morchella exhibit a high continental endemism and provincialism, several species have been phylogenetically shown to be present in more than one continents. So far, the list of transcontinental species includes M. americana, M. eohespera, M. eximia, M. exuberans, M. galilaea, M. importuna, M. rufobrunnea, M. semilibera, M. sextelata and M. tridentina. The reasons behind the widespread, cosmopolitan distribution of these species, are still puzzling. Some authors have hypothesized that such transcontinental occurrences are the result of accidental anthropogenic introductions, but this view has been disputed by others, who suggested an old and natural distribution of these species. Long-distance spore dispersal has also been suggested as a possible dispersal mechanism for some species, especially those belonging to fire-adapted lineages. Every spring, hundreds of morel enthusiasts gather in Boyne City, Michigan for the National Morel Mushroom Festival, an event which has been taking place for over half a century now. Such gatherings serve as meeting points for morel pilgrims, collectors, friends and tourists alike, who come together to share stories, experiences, enjoy exotic morel recipes and engage in morel hunting. As Kuo puts it, "if there is a modern, North American reenactment of Geoffrey Chaucer's Canterbury Tales this is it." Other festivals and hunting competitions in North America include the Illinois State Morel Mushroom Hunting Championship and the Ottawa Midwest Morel Fest. Morchella species have been called by many local names; some of the more colorful include dryland fish, because when sliced lengthwise then breaded and fried, their outline resembles the shape of a fish; hickory chickens, as they are known in many parts of Kentucky; and merkels or miracles, based on folklore, of how a mountain family was saved from starvation by eating morels. In parts of West Virginia, they are known as molly moochers or muggins. Due to the partial structural and textural similarity to some species of Porifera (sponges), another common name for any true morel is sponge mushroom. 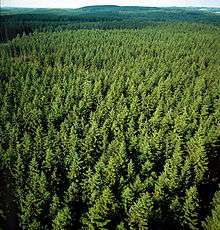 The Finnish vernacular name huhtasieni, refers to huhta, area cleared for agriculture by the slash and burn method. The scientific name of the genus Morchella itself, is thought to have derived from morchel, an old German word for "mushroom" (this may be another source for the name "merkel"), while the word "morel" is derived from the Latin maurus, meaning "brown". Morels are a feature of many cuisines, including Provençal. Their unique flavor is prized by chefs worldwide, with recipes and preparation methods designed to highlight and preserve it. As with most edible fungi, they are best when collected or bought fresh. One of the best and simplest ways to enjoy morels is by gently sauteeing them in butter, cracking pepper on top and sprinkling with salt. They make great additions to meat and poultry dishes, soups, or can be used as pasta fillings. However, as morels are known to contain thermolabile toxins, they must always be cooked before eating. Morels can be preserved in several ways: They can be 'flash frozen' by simply running under cold water or putting them in a bucket to soak for a few minutes, then spread on a baking tray and placed into a freezer. After freezing, they keep very well with the frozen glaze for a long time in airtight plastic containers. However, when thawed they can sometimes turn slightly mushy, so they are best frozen after steaming or frying. Due to their natural porosity, morels may contain trace amounts of soil which cannot be easily washed out. Any visible soil should be removed with a brush, after cutting the body in half lengthwise, if needed. Drying is a popular and effective method for long-term storage, and morels are widely available commercially in this form. 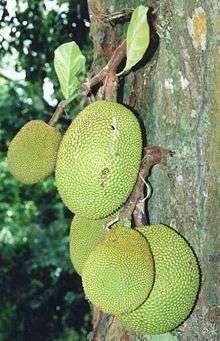 Any insect larvae which might be present in the fruit bodies usually drops out during the drying process. Dried morels can then be reconstituted by soaking for 10-20 minutes in warm water or milk, and the soaking liquid can be used as stock. The supreme flavour of morels is not just appreciated by humans; in Yellowstone National Park, black morels are also known to be consumed by grizzly bears (Ursus arctos horribilis). Morchella species contain small amounts of hydrazine toxins that are destroyed through cooking; because of this, morels should never be eaten raw. It has been reported that even cooked morels can sometimes cause symptoms of upset stomach when consumed with alcohol. When eating this fungus for the first time it is wise to consume a small amount to minimize any allergic reaction. As with all fungi, morels for consumption must be clean and free of decay. Morels growing in old apple orchards that had been treated with the insecticide lead arsenate may accumulate levels of toxic lead and arsenic that are unsuitable for human consumption. When gathering morels for the table, care must be taken to distinguish them from the poisonous "false morels", a term loosely applied to describe Gyromitra esculenta, Verpa bohemica, and other morel lookalikes. Although false morels are sometimes eaten without ill effect, they can cause severe gastrointestinal upset, loss of muscular coordination (including cardiac muscle), or even death. Incidents of poisoning usually occur when they are eaten in large quantities, inadequately cooked, or over several days in a row. False morels contain gyromitrin, an organic carcinogenic poison, hydrolyzed in the body into monomethylhydrazine (MMH). Gyromitra esculenta has been reported to be responsible for up to 23% of mushroom fatalities each year in Poland. Gyromitra species often have a "wrinkled" or "cerebral" (brain-like) appearance to the cap due to multiple wrinkles and folds, rather than the honeycomb appearance of true morels due to ridges and pits. Gyromitra esculenta has a cap that is usually reddish-brown in colour, but sometimes also chestnut, purplish-brown, or dark brown. Gyromitra species are typically chambered in longitudinal section, while Verpa species contain a cottony substance inside their stem, in contrast to true morels which are always hollow. The caps of Verpa species (V. bohemica, V. conica and others) are attached to the stem only at the apex (top of the cap), unlike true morels which have caps that are attached to the stem at, or near the base of the cap. The easiest way to distinguish Verpa species from Morchella species is to slice them longitudinally. ↑ "Morchella Dill. ex Pers.". Species Fungorum. CAB International. Retrieved 2014-12-11. ↑ Persoon CH. (1794). "Neue Versuch einer Systematischen Einteilung der Schwämme" (in German). 1: 63–128. ↑ Krombholz JV von. (1834). Naturgetreue Abblidungen und Beschreibungen der essbaren, schädlichen und verdächtigen Schwämme, Heift 3. G. Calve, Praha J, 36 p., pl. XV-XXII. 1 2 Boudier E. (1897). "Révision analytique des morilles de France". Bulletin trimestriel de la Société mycologique de France. 13: 130–150. 1 2 Fries EM. (1822). Systema Mycologicum. 2. Lundin, Sweden: Ex Officina Berlingiana. p. 8. ↑ Gray SF. (1821). A Natural Arrangement of British Plants, according to their relations to each other. 1. p. 662. ↑ Peck CH. (1879). "Report of the Botanist (1878)". Annual Report on the New York State Museum of Natural History. 32: 44. 1 2 Jacquetant E. (1984). Les Morilles. Paris: La Bibliothèque des Arts. p. 114. ↑ Boudier E. (1910). Icones mycologicae ou iconographie des champignons de France principalement discomycètes avec texte descriptif (in French). 2. Paris: Librairie des Sciences Naturelles. pp. 194–421. ↑ Persoon CH. (1818). Traité sur les Champignons Comestibles (in French). p. 257. ↑ Bunyard, B.A. ; Nicholson, M.S. ; Royse, D.J. (1994). "A systematic assessment of Morchella using RFLP analysis of the 28S ribosomal gene". Mycologia. 86: 762–72. doi:10.2307/3760589. ↑ Kuo, M. (March 2006). "Morel Data Collection Project: Preliminary results". Retrieved 2009-05-26. 1 2 Kuo M. (2008). "Morchella tomentosa, a new species from western North America, and notes on M. rufobrunnea" (PDF). Mycotaxon. 105: 441–446. ↑ Harald Kellner; Carsten Renker & François Buscot (2005). "Species diversity within the Morchella esculenta group (Ascomycota: Morchellaceae) in Germany and France" (PDF). Organisms, Diversity & Evolution. 5 (2): 101–107. doi:10.1016/j.ode.2004.07.001. ↑ Kimbrough JW. (1970). "Current trends in the classification of discomycetes". Botanical Review. 36 (2): 91–161. doi:10.1007/bf02858958. ↑ Korf RP. (1972). "Synoptic key to the genera of the Pezizales". Mycologia. 64 (5): 937–994. doi:10.2307/3758070. ↑ Overholts LO. (1934). "The morels of Pennsylvania". Proceedings of the Pennsylvania Academy of Science. 8: 108–114. ↑ Seaver FJ. (1942). The North American cup-fungi (Operculates). Hafner Publishing C. New York. 377 p.
↑ Dennis RWG. (1978). Bristish Ascomycètes. Ed. Cramer, Vaduz, 585 p.
↑ Breitenbach J, Kränzlin F. (1984). Fungi of Switzerland, Volume 1: Ascomycetes. Verlag Mykologia, Luzern, Switzerland. 314 p.
↑ Weber, N.S. (1988). In A Morel Hunter's Companion, pp. 111-67. Two Peninsula Press: Lansing. 1 2 3 4 5 Clowez P. (2012). "Les morilles. Une nouvelle approche mondiale du genre Morchella". Bulletin de la Société Mycologique de France (in French). 126 (3–4): 199–376 (see p. 238). ↑ Clowez, Philippe; Bellanger, Jean-Michel; de la Osa, Luis Romero; Moreau, Pierre-Arthur. (2015). Morchella palazonii sp. nov. (Ascomycota, Pezizales) : une nouvelle morille méditerranéenne. Clé des Morchella sect. Morchella en Europe. Documents Mycologigues XXXVI: 71–84. ↑ Lincoff GH. (1981). "The Audubon Society Field Guide to North American Mushrooms": 326. ↑ Loizides M. (2011). "Morchella rufobrunnea, η μορχέλλα της πόλης" [Morchella rufobrunnea, the urban morel]. Μυκητολόγος [Mycologist] (in Greek). 5: 10–13. 1 2 3 Pilz, D.; R. McLain; S. Alexander; L. Villarreal-Ruiz; S. Berch; T.L. Wurtz; C.G. Parks; E. McFarlane; B. Baker; R. Molina; J.E. Smith (March 2007). Ecology and management of morels harvested from the forests of western North America. General Technical Report PNW-GTR-710. Portland, OR: U.S. Forest Service Pacific Northwest Research Station. 1 2 Kuo M. (2005). Morels. Ann Arbor, Michigan: University of Michigan Press. p. 173. ISBN 978-0-472-03036-1. ↑ Lincoff G. (2011). The Complete Mushroom Hunter: An Illustrated Guide to Finding, Harvesting, and Enjoying Wild Mushrooms. Quarry Books. p. 57. ISBN 978-1-61058-099-1. ↑ Burnett GT. (1835). Outlines of Botany: Including a General History of the Vegetable Kingdom, in which Plants are Arranged According to the System of Natural Affinities. John Churchill. p. 241. ↑ Olney R. (1995). A Provencal Table. London: Pavilion. pp. 31–32. ISBN 1-85793-632-9. ↑ Wright J. (2007). Mushrooms: River Cottage Cookbook 1. Bloomsbury. p. 256. ISBN 9780747589327. ↑ Wild About Mushrooms: Morels. Mssf.org. Retrieved on 2012-04-17. ↑ Carluccio A. (2003). The Complete Mushroom Book. London, UK: Quadrille. pp. 37–38, 96–97. ISBN 978-1-84400-040-1. ↑ Stamets P. (2005). Mycelium Running. Berkeley: Ten Speed Press. p. 344. ↑ Groves JW. (1964). "Poisoning by morels When taken with alcohol". Mycologia. 56 (5): 779–780. doi:10.2307/3756634. ↑ Bresinsky A, Besl H. (1990). A colour atlas of poisonous fungi. Wolfe Publishing Ltd, London. ↑ Lampe KF. (1979). "Toxic fungi". Annual Review of Pharmacology and Toxicology. 19 (1): 85–104. doi:10.1146/annurev.pa.19.040179.000505. PMID 378111. ↑ Kuo M. (2007). 100 Edible Mushrooms. Ann Arbor, Michigan: The University of Michigan Press. pp. 55–58. ISBN 0-472-03126-0.